When you walk through the original arched door of this 1926 Mediterranean, you feel the near century of family and friends that have gathered, the dinner parties, the evenings where the air is filled with laughter over a good story. Historical charm has been honored in preserving the hardwood flooring, original molding, transom windows, archways, fireplace, built-ins and doors. 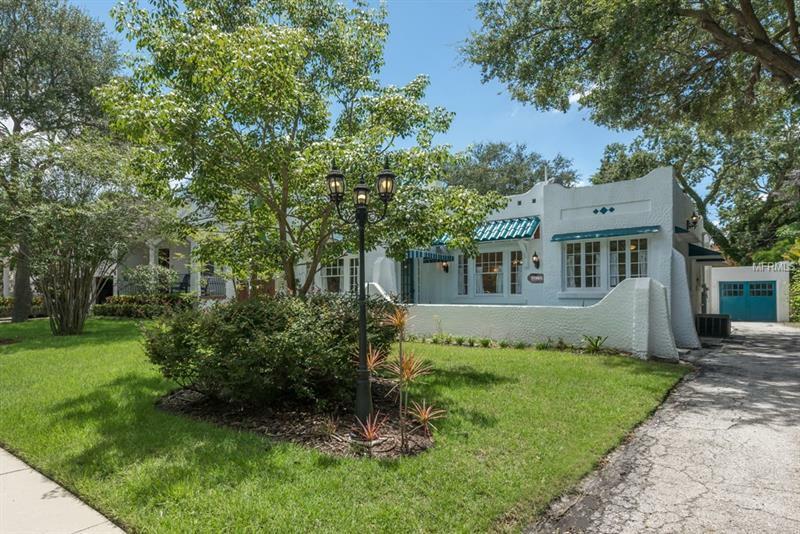 Located in the Sunset Park neighborhood of South Tampa, in the five star school district of Dale Mabry Elementary/Coleman Middle and award winning HB Plant High schools. The floor plan includes 3 bedrooms, 2 baths, formal living and dining rooms, kitchen and addition of a flex room perfect for a home office/den or play room. Improvements to the home include replacement of the plumbing( including the supply line to the street), both interior and exterior electrical, roofs on main house, garage and rear patio, in addition to the kitchen cabinetry, granite countertops, and appliances. A master suite was added to provide a spacious walk-in closet and ensuite bathroom with walk-in shower. The 60'x155' yard provides enclaves for relaxation, gardening, a fire pit, or pool. The detached garage has the original entry doors salvaged from a neighboring property, in addition to an air conditioned work shop. You will want to see this property in person to appreciate the space and feel. Only then can we say, 'Welcome Home'!